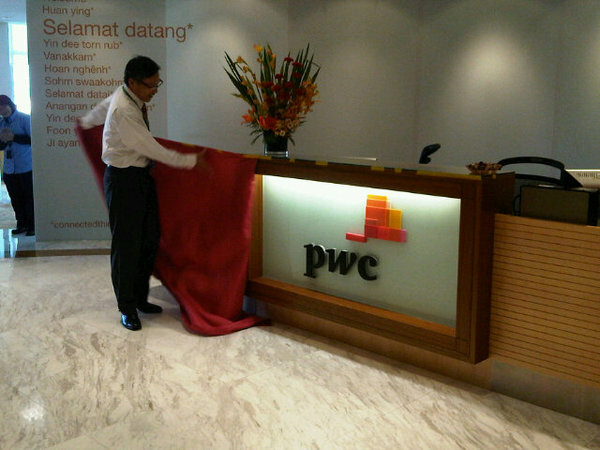 zarinahtakesapaycut: Who is in charge of PwC Malaysia? Does Chin Kwai Fatt still carry the aspirations of the new logo, or is there a new sheriff in town? 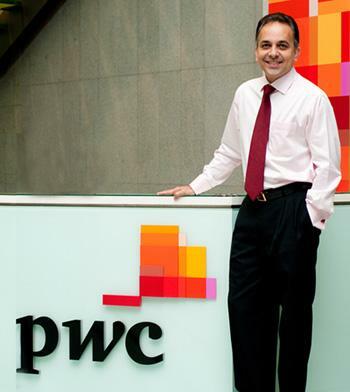 "“We are now known simply as PwC — it simplifies matters. Most people I know use that term anyway because it’s less of a mouthful,” said PwC partner Sridharan Nair who oversees markets for Malaysia and other countries in Southeast Asia." Sridharan Nair, making the logo look good once again. If Mr Sridharan Nair is now the man who calls the shots in PwC Malaysia, we would like to first of all congratulate him on his appointment and wish him all the best, but please remember to also do the right thing. We hope that Mr Sridharan Nair will not get too cosy with the Regulators, and repeat the mistakes of Johan Raslan. Hopefully the days when a major audit firm is bosom buddies with the regulators will become but a memory. We hope that the rules of good Corporate Governance will once again become the norm rather than the exception. By now Mr Sridharan Nair must be cognizant of the allegations raised here against Chin Kwai Fatt and Co, including where Chin Kwai Fatt had signed a false declaration. As the person overseeing Malaysia now, you cannot allow any of the matters raised here to be swept under the carpet, as it would require a truly humongous rug to hide what has already been read by thousands around the world, and it will be better for all if steps are taken to address the wrongs of the past. Chin Kwai Fatt, like Hosni Mubarak neglected to play by the rules, and we hope that will also never be repeated again. It is time someone addresses the ongoing fraud relating to PricewaterhouseCoopers Consulting Sdn Bhd (464379-U), and does the right thing. Shut down this consulting arm, so that the fraud of the past 9 years will finally come to an end.